Weekly Meal Plan #34 sure does have a lot of cheesy and comforty foods, don’t you think? It’s always a really tough call deciding which recipe I want to make first. 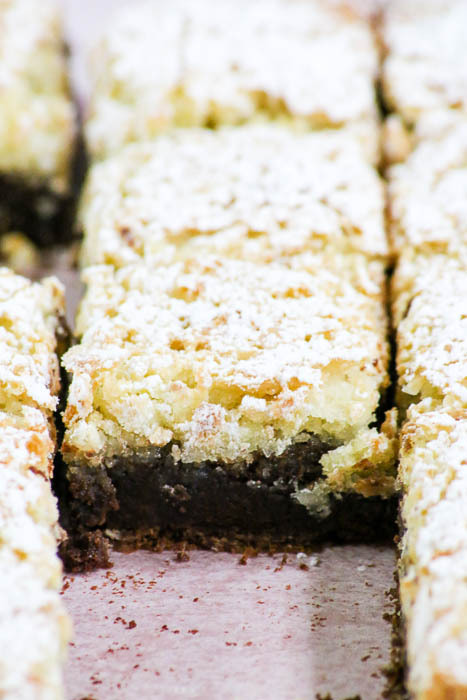 Fortunately, I always know which one you need to end with….and this week it is Chocolate Coconut Brownies. 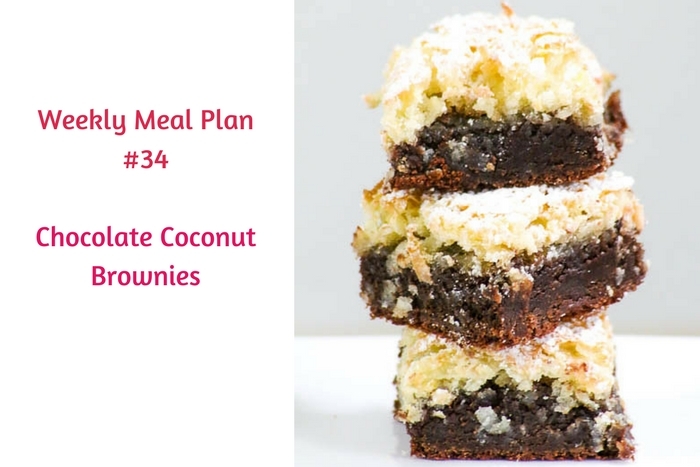 The brownie base is covered with a decadent coconut topping. Sure to be a hit in your household. It is always one in mine! Be sure to click on all of the names of the recipes to head over and get the recipes. Hey folks! We’re back at it with another Keeping It Easy Weekly Meal Plan Week 34! Hard to believe the year is almost 3/4 of the way over – it’s almost September! Time for pumpkins and all things fall, and I – for one – can’t wait!